Ultrawide Vs Dual Monitor Setup: Which is best for Music Production? We all know the influence of dual monitors in improving productivity. But, the ultrawide displays are giving fierce competition to the side-by-side multiple screens in terms of looks and comfortability. I have gathered reviews of hundreds of professionals and normal users. Many of them are comfortable of working with dual monitor setup for their music production needs and the rest found the ultrawide displays the best companion for recordings. So, based on such mixed reviews, I have listed both types of screens in this list. It will help you to get the right type of display depending on your interest and comfort. The Acer R240HY display will provide stunning picture quality and reliability of a top-class IPS screen at an affordable price. 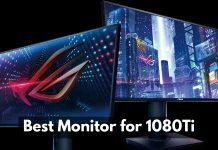 Yes, there are many budget monitors that offer performance, graphics, and other things. 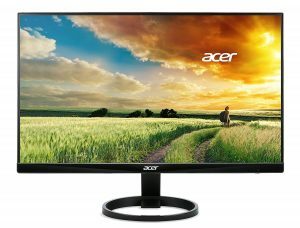 But, this Acer display will give you the real value for your money and that’s why I listed it at the top in this article. It has a Full HD (FHD) widescreen with a 23.8” size and a resolution of 1920 x 1080 pixels. This display has a response time of 4ms (GTG) and a native refresh rate of 60Hz. It comes with one HDMI port, one DVI port, and one VGA port for the connectivity. The IPS (In-Plane Switching) technology will provide seamless color reproductivity and let you see clear and true colors from any angle. The border-less design will help you to enjoy every bit of the screen without any distraction. Also, this feature makes it perfect for a multi-monitor setup. It has 178-degree horizontal and vertical viewing angles and -5 to 15-degree tilt angle. You can also buy the display with the size of 21.5”, 25”, and 27” depending on your needs. This mercury-free screen is Energy Star certified which means it supports Eco-friendly design, recyclability, safety, and energy efficiency. 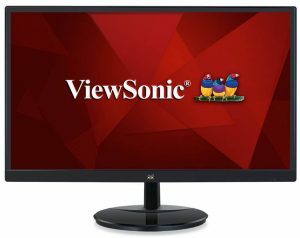 If you are looking for an affordable 27-inch monitor for DAW which also provides an efficient performance without any compromises, then the VA2759-SMH display from ViewSonic is an ideal option. 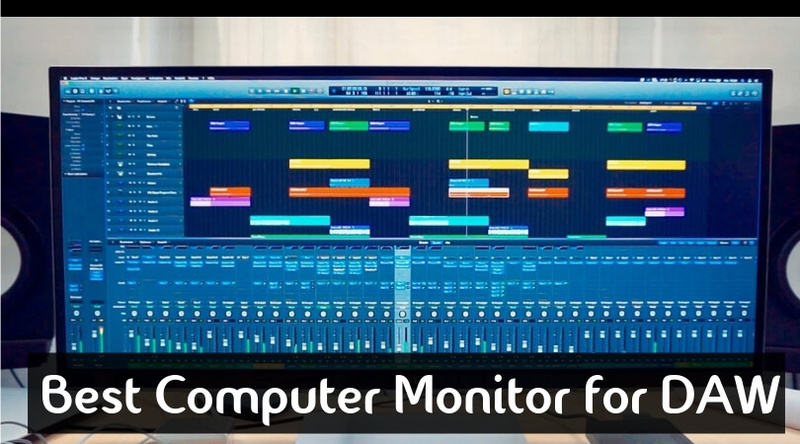 Though it is a basic monitor, it will provide all the necessary features for your music production job. Whether you are setting up your new computer system or a second monitor for your laptop, this display is a perfect option. Its 27-inch frameless screen supports Full HD resolution of 1920 x 1080 pixels. The super clear IPS panel will offer vivid colors and sharp pictures no matter from which angle you are viewing it. The edge-to-edge design with frameless bezel offers you distraction-free work always. It has one HDMI port and one VGA port to connect your PC, laptop, or any other compatible system. It also has audio jack to attach your headphones to listen to your music after production. You can also choose from the other available sizes like 22”, 23”, 24”, and 28” with the frame or frameless options. Along with the monitor, you will also get one power cable, one VGA cable, and one audio cable in the box. The company provides an industry leading 3-year warranty on the product. 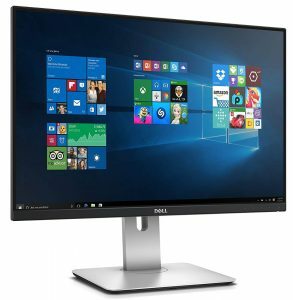 The Dell Ultrasharp U2415 is rated as one of the best second screen displays for DAW home recording studio. It has a well-built design, great looks, flat panel, and many other characteristics to offer you the real value for your money. This studio dedicated display has a native resolution of 1920 x 1200 pixels which contains more screen space than a 1080P monitor. It has a 6ms response time, 1000:1 contrast ratio, and 16.78 million colors to provide stunning visuals. The widescreen anti-glare 24-inch display has a viewing angle of 178-degrees and comes with a security lock slot. This screen has plenty of connectivity options. It has one HDMI port, one Mini DisplayPort, one DisplayPort, and five USB 3.0 ports to connect all your devices to it. It comes with a built-in cable management system to help you make clear and proper cabling as well as height adjustment settings of tilt, pivot, and swivel. This monitor is compatible with all the Operating Systems, so you can freely use any platform for the music production as per your wish. The ultra-thin bezel makes it perfect for a dual monitor setup. The HP VH240a is an affordable high-quality monitor which will fulfill all your needs of a perfect screen for music production and recordings. Its IPS panel will offer bright and crisp visuals which you can get in only the pricier screens. There are many reasons to get this display for your music production studio DAW. It contains a 23.8” Full HD (FHD) screen which has the native resolution of 1920 x 1080 pixels. With 16:9 screen ratio, it has two million pixels to provide crystal clear pictures with bright quality. This monitor has a 5ms response time and a 60Hz refresh rate to allow you to get smooth and crisp images. The integrated speakers will help you to listen to your recordings without using the audio jack. It has one VGA port, one audio jack, one HDMI port, and an HDCP support to let you stay connected. As it has the seamless design for a perfect dual monitor setup, you can also choose an option to get the dual monitor stand with the screen. It has 178-degree wide angle viewing, 10M:1 dynamic contrast ratio with VESA mount ability to make it look stunning from any angle. The mercury-free LED backlighting with arsenic-free glass on the screen helps you to use an environment-friendly display which is also energy efficient. 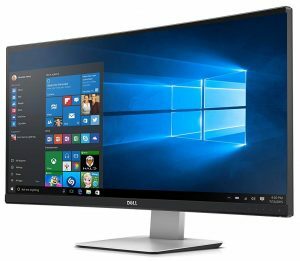 With accurate colors, sharp GTG performance, excellent audio output, and tons of other features, the Dell U3415W curved screen is successful to get a spot in the list of the best monitors for DAW studio. It doesn’t come with a cheap price tag but for the amount of functionality you get with it, it is a great option to get a good deal for the money. This RoHS compliant screen comes as a plug and plays to offer a user-friendly operation. It is one of the world’s first curved monitors with a 34” screen size and cinematic WQHD native resolution of 3440 x 1440 (1440P monitor) pixels. The widescreen curved display of 34” will allow you to use multiple applications side to have an in-the-action experience. It has one HDMI port, one Mini DisplayPort, one MST DisplayPort, one V1.2 DisplayPort, two USB 3.0 ports upstream, and five USB 3.0 ports downstream. You can navigate through the Picture by Picture and Picture in Picture features to have a desired unrivaled viewing experience. The company provides a 3-year limited hardware warranty and a 3-year advanced exchange service on this product. Eco-friendly materials are used to build this monitor which makes it TCO certified, ENERGY STAR qualified, and EPEAT gold rated display. 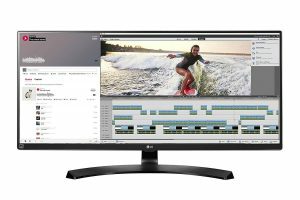 In the competitive race of the ultrawide monitors, the LG 34UM88 is gaining a good reputation among the worldwide professionals of music production and recording field. With the benchmarks in hand, this LED-lit display performs nicer than average in every bit of category. It is great for doing multitasking with split-screen technology as well as for playing high-end games over the night. 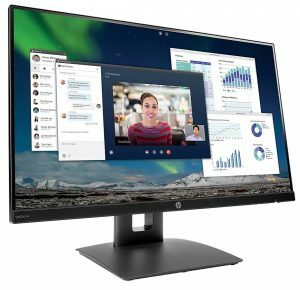 It has an ultra-wide QHD screen with a native resolution of 3440 x 1440 pixels which is about 2.4 times larger than an FHD display. The IPS screen has an over 99% sRGB ratio to provide sharp and highly accurate color reproduction for the professionals. The Screen Split 2.0 feature will help you to easily customize the screen for your multitasking needs without worrying about the dual monitor setups. It has a native 60Hz refresh rate and a 5ms GTG response time. 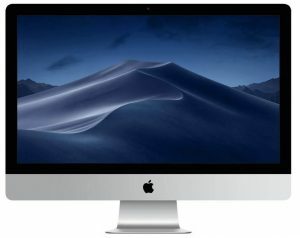 It comes with two HDMI ports, one 1.2 DisplayPort, one DisplayPort (out), two Thunderbolt 2.0 ports, one USB 3.0 port, and two USB 2.0 ports for the connectivity. With FreeSync adaptive synchronization technology, easy setup, preset modes, quick charge feature, and on-screen control help to make it a preferred choice for the users. The list is incomplete without the Apple Thunderbolt display. I am impressed with this product mostly because the company listens to the user reviews and upgrades the next generation devices according to that, especially the dedicated displays for the gamers and creative professionals. It is the perfect option if you are setting up a new computer system as it comes with an inbuilt CPU. It comes with a seventh generation Intel Core i5 processor with a 3.4GHz speed which can go up to the 4.5GHz in turbo-boost mode. It offers a native resolution of 5120 x 2880 pixels to offer a true-to-life viewing experience to the users. The new Radeon Pro 500 series graphics with an 8GB dedicated RAM & a 2TB hard disk will make everything stunning on the screen. It has four USB 3.0 ports, two Thunderbolt 3 (USB-C) ports, Gigabit Ethernet port, one headphone jack, one SDXC card slot, and one Kensington lock slot as the connectivity options. You will also get one magic keyboard, one magic mouse 2, power cord, and a lightning USB cable in the box. How to choose the right computer for music production? 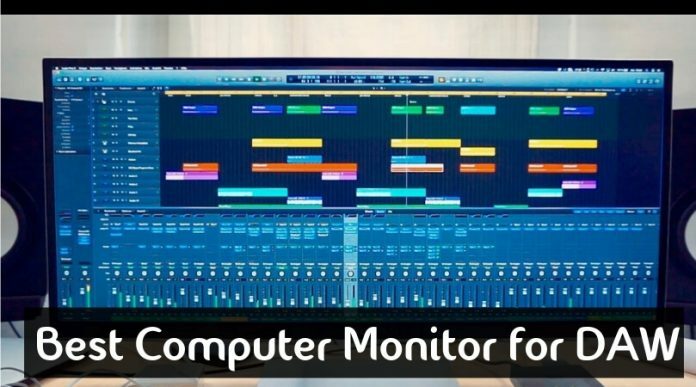 There are several things that you can consider to get the perfect monitor for your music production studio DAW. Version: First of all, you need to decide which version of the digital audio workstation you will be using. It will help you to choose whether you will need a Mac system or a PC. For example, Logic and Garage band are compatible to Mac only. It is advisable to confirm the compatibility of the software with the system to avoid any consequences. Desktop or Laptop: When it comes to music production, the debate is overplayed on whether you should use a laptop or desktop system. If you are traveling too much or giving frequent live performances, then a laptop will be a good choice. Otherwise, a desktop PC with a good-quality DAW monitor or a Mac system can provide more powerful performance than a mobile device. 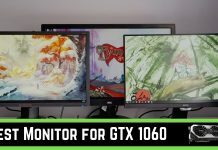 Multi-monitor setup Vs Ultrawide screen: Think which kind of display setup you want. As I said earlier, you can use a dual or triple monitor setup or can simply go for a widescreen curved display. It depends on your working comfortability and desk space. Don’t set yourself back on the thinking of difficulty of setting up multiple monitors as it is quite easy and you will not need to resize anything for keeping the multiple applications side by side. Pre-built factors: Apart from the monitor screen, many users also choose the RAM, hard drive, processor, and other insides wisely. Yes, there are many pre-built PCs out there which give excellent music production and recordings. So, if you are not very much aware of a custom built PC, then you can go with the ready-made PCs. Otherwise, a personalized music computer is the best thing for a recording studio artist. Budget: Last but not least, your budget does matter while making a music production system. As I mentioned in the above points, it totally depends on you whether you want to go for a laptop or desktop, a custom built PC or a preset one, want to make a dual monitor setup or opt for a widescreen display. All these factors affect the overall price of building a home studio computer. If you are a professional, then think for long-term investment and according to that, you can vary your pricing limits. At the end of the day, the choice is yours. You can go for the ultrawide screens or can use multiple monitors for your music production and recording needs on a DAW studio. Many DAW versions are still needed to be optimized for 4K, so I suggest you to not go for a 4K display unless you really not require it. 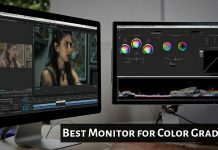 Any of the monitors mentioned in the above list will work fine for your DAW. Let’s make it right, they will work great, not fine. So, it is up to you which display you will choose for your music production depending on the needs and budget.